Click Here to View Product! 1. Complete student interactive notebook (both digital and print) keeps all documents for the unit in one, beautifully designed place. 2. Lesson on writing a quality, engaging hook (lead) statement with fun, interactive hook stations activity to practice the skill. 3. Lesson on writing a thesis using the thesis generator I created. This ‘generator’ uses a step by step guide to create an arguable thesis statement in formal writing. 4. Lesson on in-text citation with valuable note taking documents within the interactive notebook. 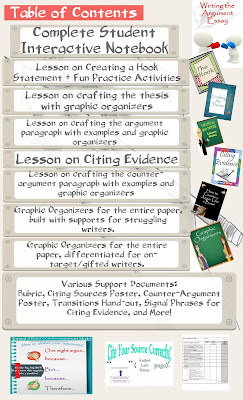 Teach students to seamlessly incorporate evidence within their paragraphs. 5. Lesson on crafting an argument with specific graphic organizers for support and strong examples provided with the interactive notebook. 6. Lesson on crafting the counterargument paragraph with the formal 5 point counterargument method. 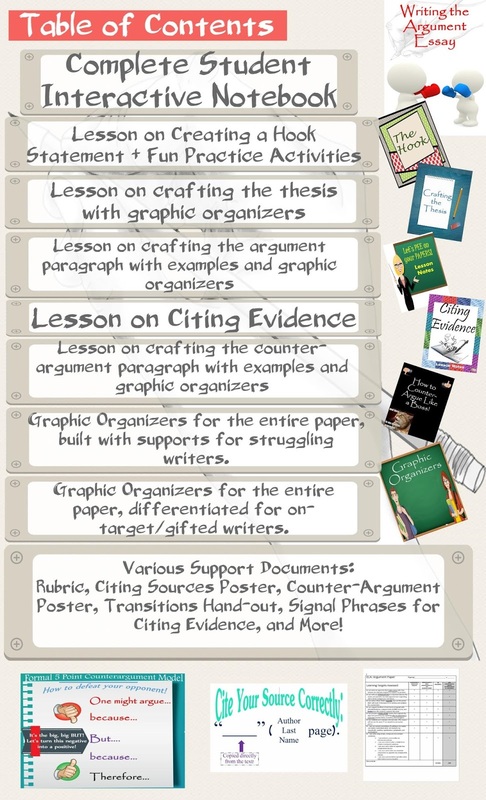 Specific graphic organizers, note taking documents, and strong examples support students as they draft the ideal counterargument paragraph. 7. Graphic organizers take students through the entire paper. Two sets of organizers are included within this purchase for differentiation. Set A will support younger or struggling writers, while set B will encourage depth and complexity from your stronger, more experienced writers. 10. Handouts for supporting students with transition words, strong academic language, persuasive language, citing evidence sentence starters, etc. 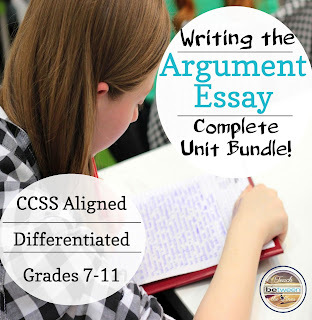 Teaching students to analyze an author’s arguments is a great way to prep for their own argument writing, check out these products! Analyze Arguments: King's Letter from a Birmingham Jail- COMPLETE UNIT BUNDLE! I know many sites that write works for money. This is one of my favorites. Here essay writers I ordered coursework professional writers. It wasn't very expensively. In addition, I was pleased with the timing of my order and the discount that the site provided me. So it really works!